Toward the end of last year I began to take a more pro-active role with regards to the 2nd Amendment. It included, among other things, this blog. I also joined our local Friends of the NRA committee. 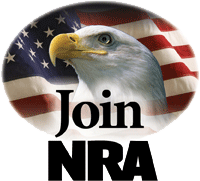 For those unfamiliar with Friends of the NRA (more info here) – it’s a grassroots fundraising organization that provides grants for hunting and shooting activities, clubs, and programs. Friends of the NRA puts on fundraising banquests and dinners across the nation. There are raffles, auctions, games and prizes. I had never attended such an event prior to joining the committee. But decided to attend a nearby banquet in Lancaster, PA back in February. The Lancaster Friends of the NRA dinner also happens to be one of the largest in the nation. This gave me an idea of what to expect for our own local and somewhat smaller banquet which was held April 30th. Our committee spent a fair part of the day setting up and preparing for the dinner. My wife joined me for the actual dinner. We had a good time, but alas I still have yet to win one of the many handguns and rifles that were up for auction. a pair of holsters for the auctions. If you haven’t checked out Gun Rights Radio, please do. It’s a whole ton of gunnie goodness. A variety of podcasts covering everything from 2nd Amendment Rights, Armed Citizenry, guns, tactics. From a variety of laymen to experts. Pro Arms (Bunch of people who have forgotten more about guns than I will ever know). Gun Dudes – Bunch gun geeks shooting the breeze. Lighthearted gun fun! Gun Nation – Doc Wesson brings you ballistics and gun reviews. Gun Rights Advocate – deals with issues regarding our Second Amendment rights. I finally got a chance to shoot my target (an older 2.5 model). The new and improved 3.0 features shading, more defined target circles and a focus on head shots – being zombies and all. I did this shoot at approx 30ft (wasn’t an exact measure so I had to guestimate, it’s somewhere around that 25ft-30ft distance). I fired off 4 magazines for a total of 32 rounds using my Ruger P-345. The lines on the 2.5 version aren’t as distinct so I focused more on the head itself. That said I was still shooting a bit low. However, I was quite please that ALL of my hits but one fell on the zombies (Ragetti & Pintel). And even though my head shots were low and outside the target circle they were still dedicated head shots that would have provided lethal .45 rounds on the zombie. And thankfully, I was able to avoid hitting little Suzie, and even spared her teddy bear. While this may just seem like “silly fun” there is an advantage to training with a target that not only requires you hit the target, but also requires that you NOT hit the target. Sometimes, both are equally important – especially when it’s a pair of thugs and your loved one is in their grasp. May all of us be blessed to only have to use such skills on silly targets with Zombies on them and never in real life. UPDATE: Kenn Blanchard over at BlackManWithAGun.com sent me a copy of a drill he put together for use with the Zombie Targets. I’ve converted it into a PDF for easy download (minus the graphics).